Diversity Abroad reveals new 5-year plan t "revise and improve"
Tagged with Andrew Gordon, Diversity Abroad, Strategy, US. Diversity Abroad, the organisation which describes itself as a consortium for international education professionals promoting diversity in educational mobility, has announced a new medium-term strategy focused on a “revised and improved” approach. The new initiatives launched at the annual conference include an increased online offering to make students and staff aware of global opportunities, and “culturally relevant and identity-specific guidance” for students already abroad or preparing to go. The company will also produce an update to its Access, Inclusion, Diversity and Equity Roadmap for institutions and professionals, and launch its first professional certification on ‘Diversity and Inclusion’ in international education and cultural exchange. 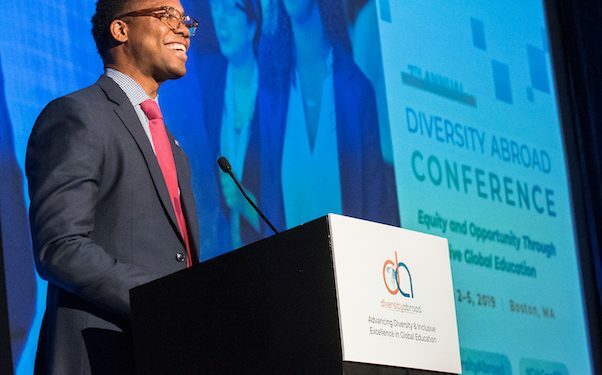 In a statement released after the conference, Diversity Abroad CEO Andrew Gordon explained the next five years would not witness a revolution at the consortium, but a shift in the delivery methods employed. “Our vision has not changed: That the next generation of young people from diverse and underrepresented backgrounds are equipped with the skills, knowledge, and global acumen to thrive in the 21st-century interconnected world and competitive workforce,” he said. Part of this effort to prove effectiveness is the launch of ‘on-demand’ Student Advising Courses, which comprise of a series of short videos accompanied by work sheets. These will be accessible online for partner institutions. This advice will cover “culturally relevant and identity-specific information, approaches to navigating micro aggressions abroad, and cultural adulting”. The ‘revised’ approach will keep the key facets of Diversity Abroad’s offer, to focus on the under-represented groups in (mainly US) society, and offer tools to boost the engagement of these groups in mobility.